I'm Yuuki from Yokohama and love taking pictures using my SONY α33. Yokohama is one of the best places in Japan to go around with your camera. I also like to meet people who have different cultures and have fun! I often organize a tour in Yokohama and also Tokyo for foreign visitors. 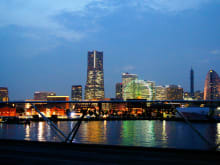 Walking Tour in Yokohama for Photography Lovers!